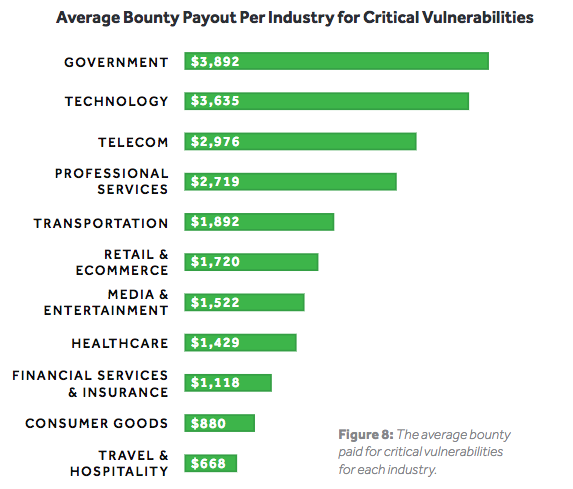 White hat hackers who responsibly disclosed vulnerabilities through bug bounty programs hosted by HackerOne earned more than $11 million last year, according to the company’s 18 Hacker-Powered Security Report. HackerOne hosts roughly 1,000 programs that over the past years have received over 72,000 vulnerability reports from researchers in more than 100 countries. The bounties paid out since the launch of the company until June 18 reached over $31 million. The complete 18 Hacker-Powered Security Report is available from HackerOne in PDF format.